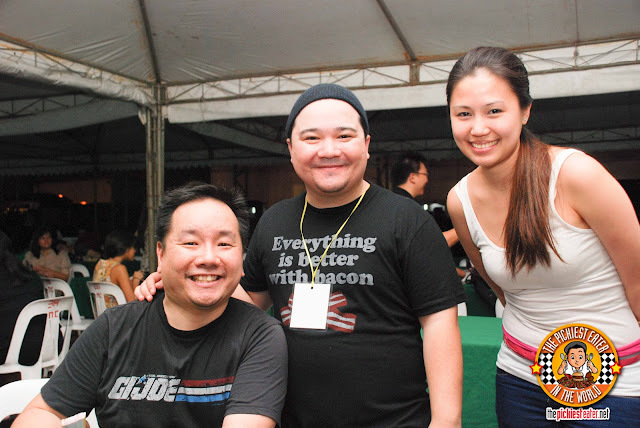 Being a food blogger hasn’t earned me a single cent, but I do it for three reasons. 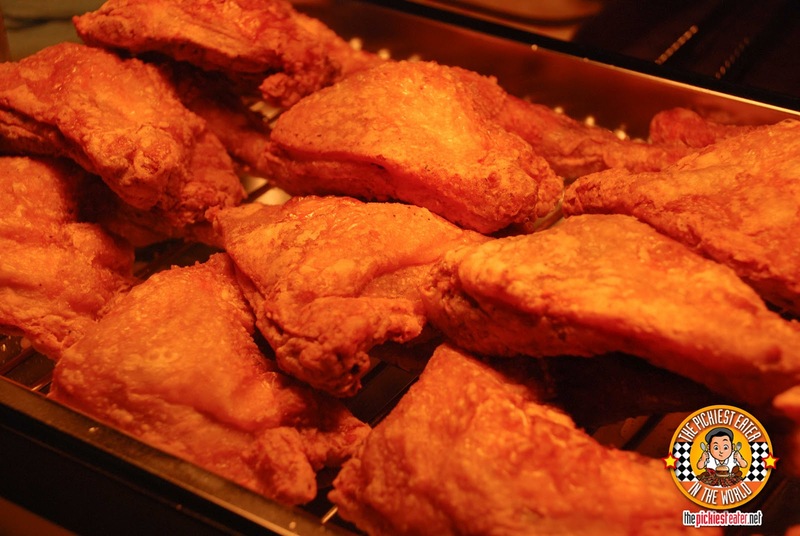 First is because of my sheer love for food. I may use nifty terms and talk about nifty techniques, but I assure you, apart from how to use a spoon and fork, I have absolutely ZERO training in culinary arts. Which is precisely why I don’t consider myself a “Critic”. 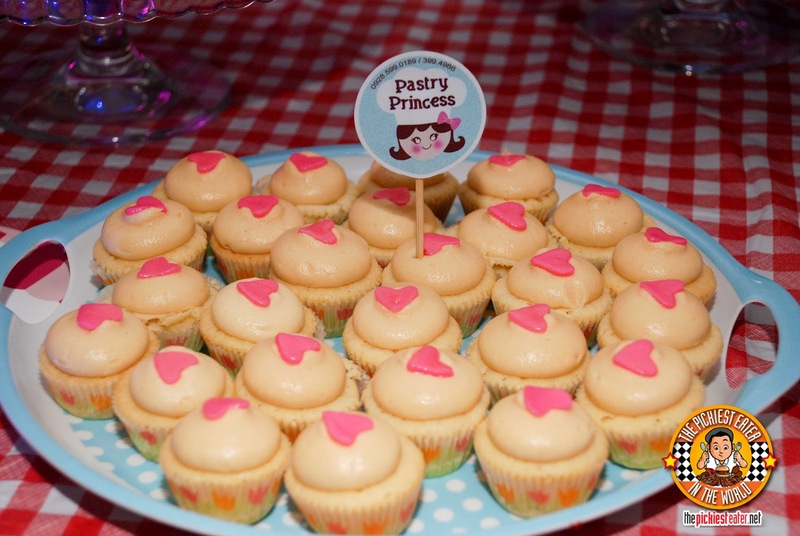 The second reason I food blog, is because I love to write. I consider my sitting down in front of my computer and locking myself in my study room for an entire afternoon truly therapeutic. An escape to a better time, away from any problem I may have in the world, even for a short moment in time. The third reason, is simply because I like to entertain people in my own simple way. 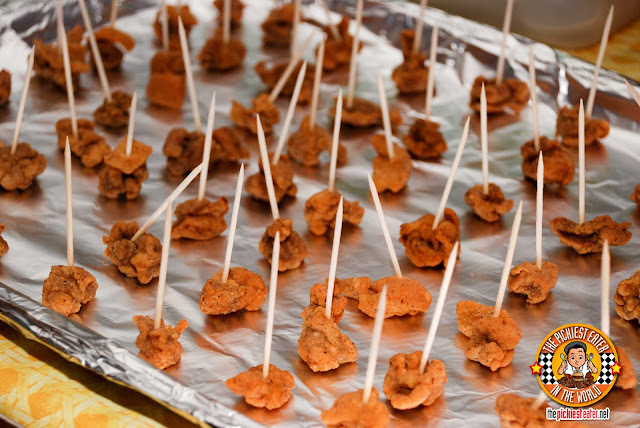 I’m fully aware that I look like an idiot in many of my pictures that chronicle our adventures, but if it made you laugh or if a picture of a piece of pork made your mouth water even the teensiest, tiniest bit, then to me, my effort for this blog were totally worth it. 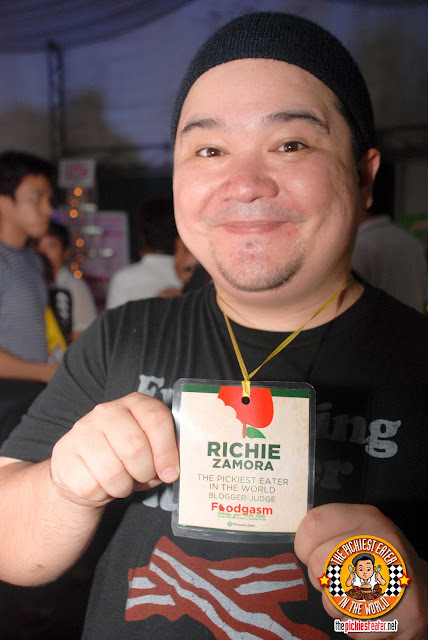 Something that truly warmed my heart, was being selected as a Blogger Judge for the UP Economics Society’s food tasting event, called “FOODGASM”. Out of nowhere, a University organization contacted ME, to be one of the people who’s opinion would matter, for the final decision of... Even though there would be hundreds of people who would be “judges” as well, It was a nice feeling to know that the word on “The Pickiest Eater In The World” blog is getting out there. So how do you do repay a nice group of people for inviting you to their food event? You eat everything in sight, of course! 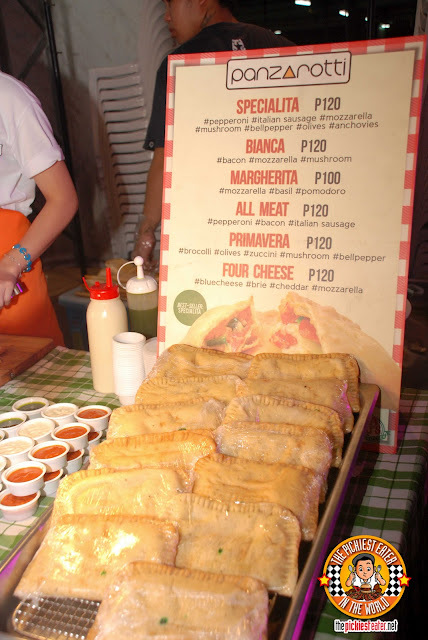 Mama Lou’s Italian Kitchen and Carlo’s Kitchen joining Foodgasm as a exhibitor was almost unfair for the others because I have a soft spot in my heart (and stomach) for both. 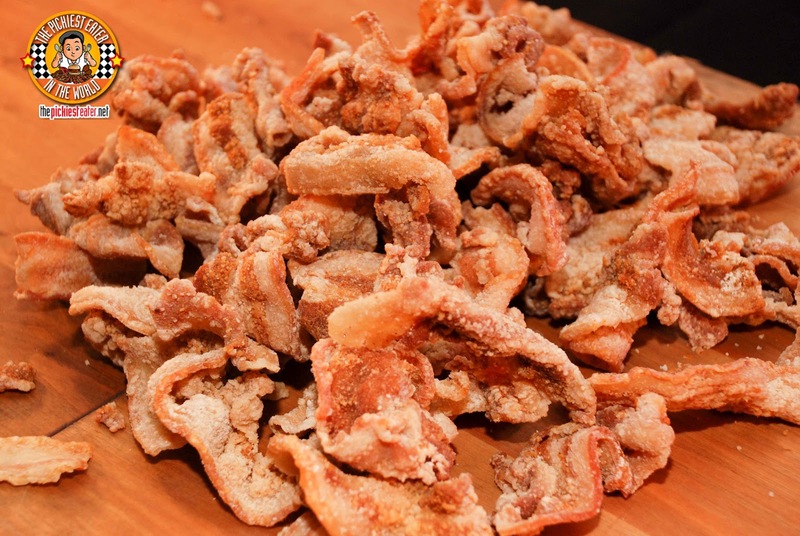 Carlo’s Kitchen’s served up their signature dish, the Crunchy Belly. Thin strips of pork belly deep fried to perfection. How could you NOT give that a perfect score? Though Mama Lou’s Italian kitchen has a full blown Italian menu that would blow your mind away, their food market favourite is their Panzarotti. 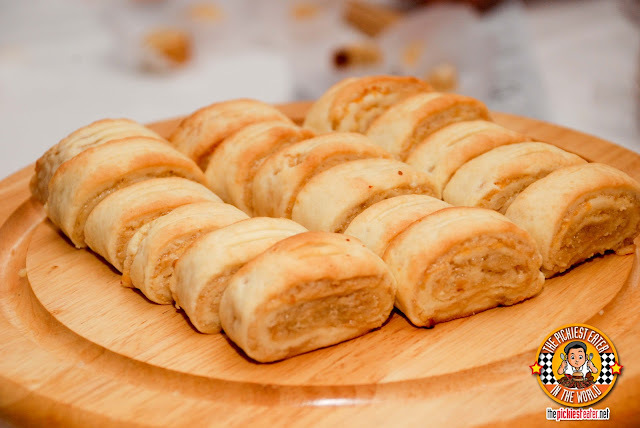 Again, the beauty of the dish begins with the beautiful soft pastry that envelopes the filling, which is offered in a tomato based “All meat” variant, and my favourite, the cream based “Bianca”. 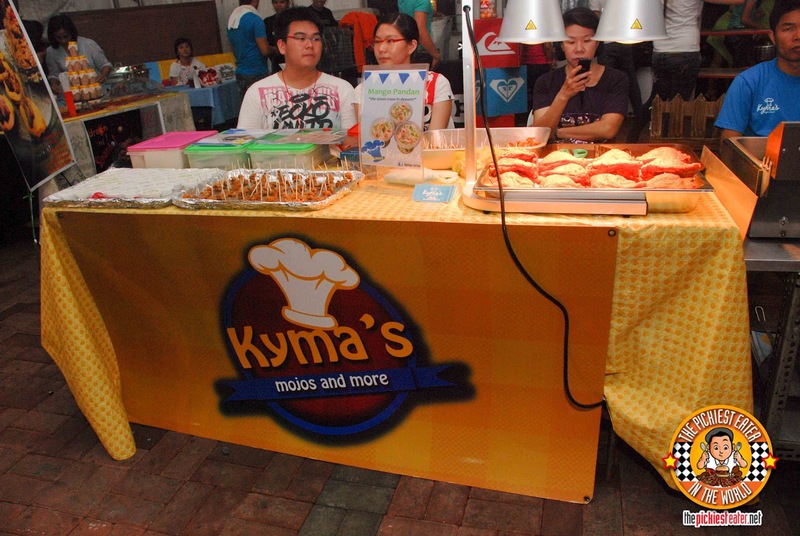 Another exhibitor was “Kyma’s Mojo’s and more”, which showed off some of their fried chicken. It was a little bit difficult to get a good assessment on just how good this was because the taste was a bit too small, and all I got was skin. 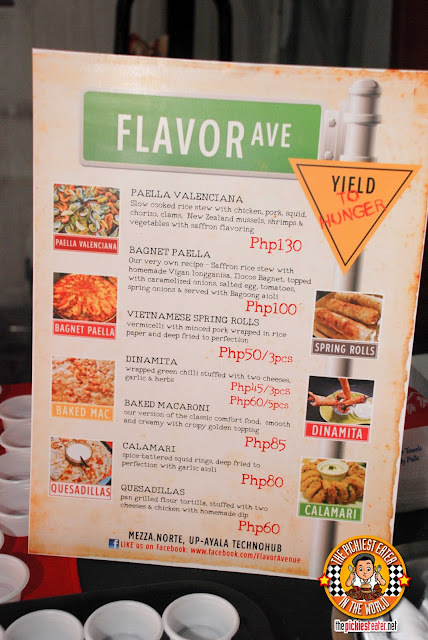 Flavor Avenue served some of their Paella Valenciana I wasn’t too impressed with. For me, It had a nice medley of flavours, but I’ve had better home made. Like I said in the past, I have a high standard for Spanish food.. 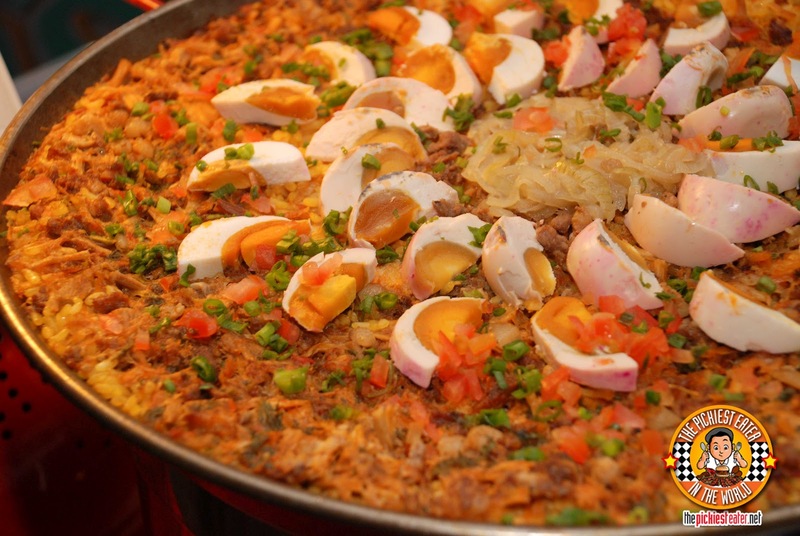 ESPECIALLY Paella ( My mom and her sister make legendary Paellas), so if you don’t knock it out of the park, I won’t be all that impressed. 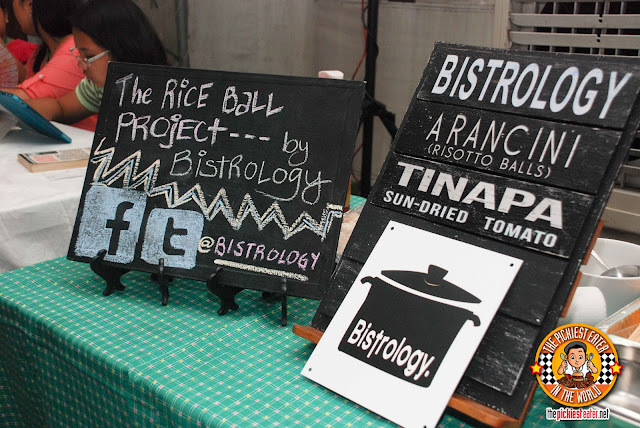 Bistrology unveiled its “Rice Ball project”, by way of their Arancini or Risotto Balls. The first time I had Aranci was when one of my bosses, Erik Matti, was fiddling with his menu for his restaurant, “F Word”. The deep fried balls risotto balls had a nice golden exterior, with a nice crispiness to it. Though I do eat Tinapa, I wish they had used a different filling instead, because I wasn’t too pleased with the combination of the Tinapa and Risotto. 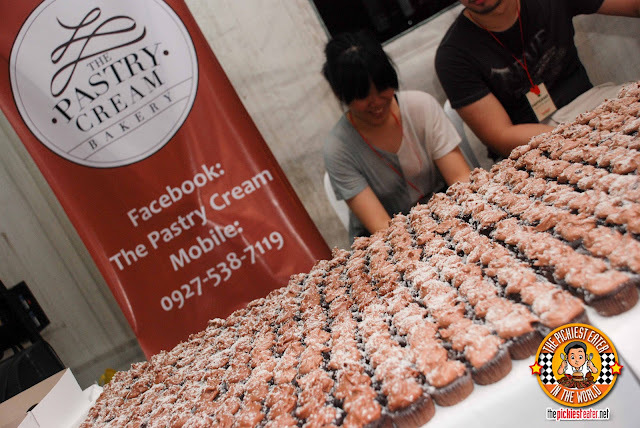 The Pastry Cream bakery had a nice chocolate cream cupcake that had a moist cake base and a nice creamy chocolate topping. The small sample size was nowhere near enough to satisfy my craving for it. 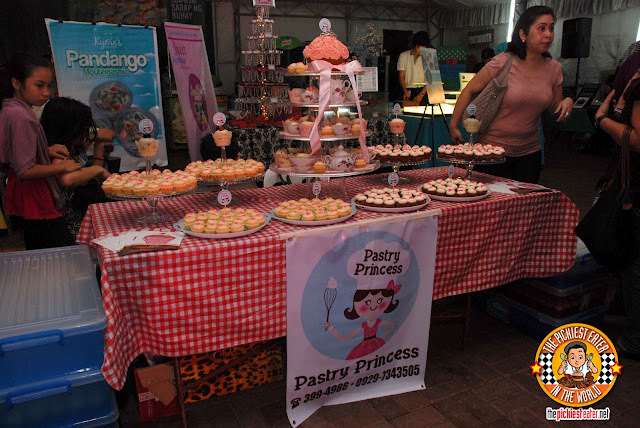 The more impressive cupcake stall, however, was definitely “The Pastry Princess”. The Pastry Princess is actually a 14 year old girl who possesses baking skills way beyond her years. 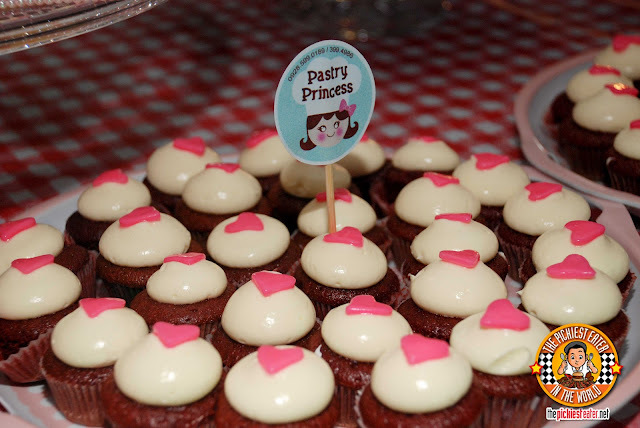 The Red Velvet was delicious as well, however, It was the white chocolate that really caught my attention. I’ll admit, I reluctantly tried Tofud Sweets by De Light, and was pleasantly surprised with the Tofu Blueberry cheesecake. It did lack the light tartness you expect in a cheesecake, but other than that, you’d hardly notice that it was tofu! Mr. And Mrs. Brussles’ speciality is Gourmet waffles. However this isn’t your usual Belgian Buttermilk variety. 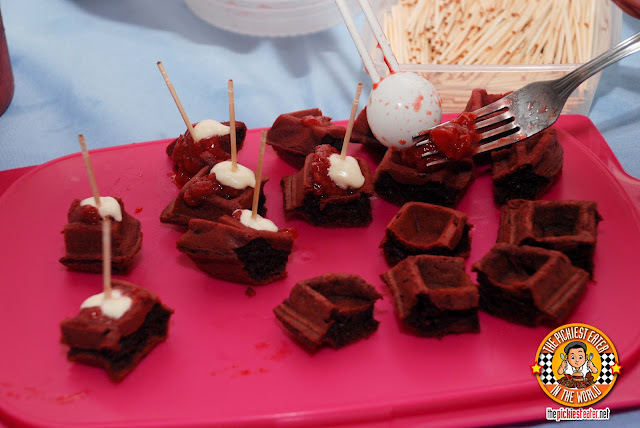 I was impressed how they managed to innovate the classic breakfast dish, and they created a “Red Velvet” Waffle. Kiera’s Goodies take on the Panicillos, was also quite tasty. I’m not a nut guy, but the ground pili rolled into the fresh pastry made for a nice treat. I was kinda hoping that Mad Mark’s would beexhibiting their Man Sandwiches. 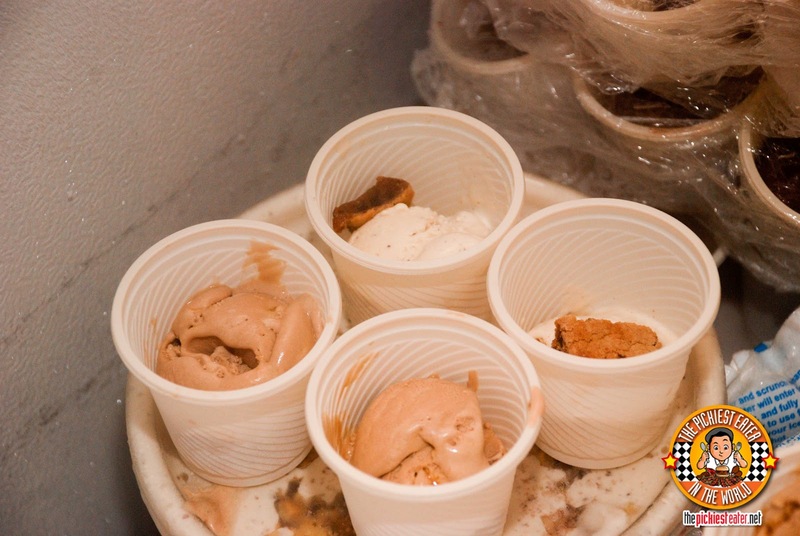 Instead, they brought their different homemade ice creams for tasting. Their Half Baked Madagascar had a wonderful creaminess and made me wanna go back to their restaurant ASAP. 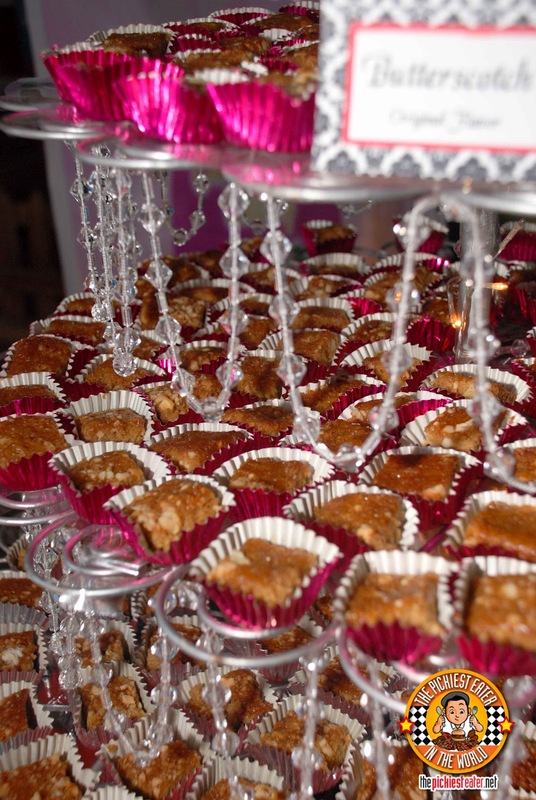 Sweet Inspirations had extremely moist, and flavourful butterscotch bars that didn’t go overboard in its sweetness. Though they had even a chocolate chip and mango variant, I actually preferred the plain one most. As good as everything was, (some better than others), the winner of Foodgasm's taste test was Blue Toque Handcrafted Desserts. Mark my words.. If Blue Toque keeps up the level of excellence they displayed during their past few taste tests, You're looking at the next great food success story. They've been on somewhat of a hot streak, winning "Our Awesome Planet's Taste Test 9", as well as the overall winner of Foodgasm. 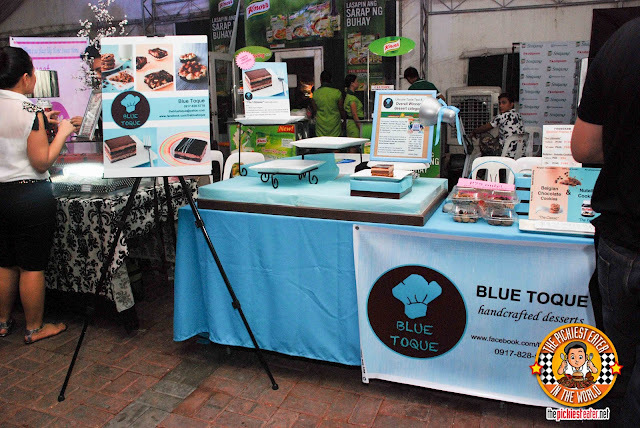 Blue Toque has something amazing going on with their flagship product, and original creation by Chef Anne Ramos, "The Ultimate". 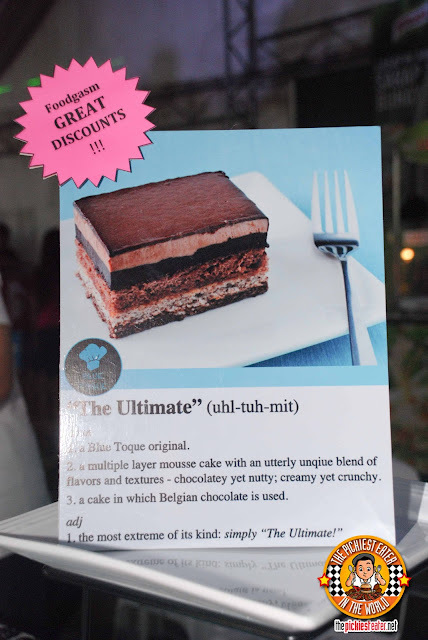 The Ultimate has five different layers to it.. Even by looking at it, you can't help but appreciate the technique involved in getting each layer unto on top of the other so evenly and cleanly. 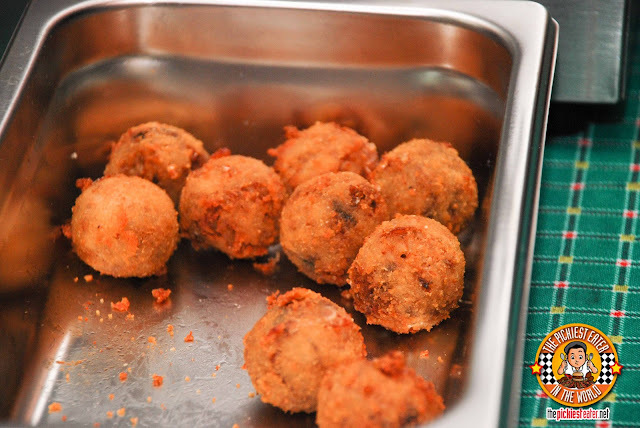 In these taste tests with home based cooks, its not very often you see a product look EXACTLY like how it does in it's promo shots, but like the true superstar it is, The Ultimate was just as gorgeous in person as it was in its picture. 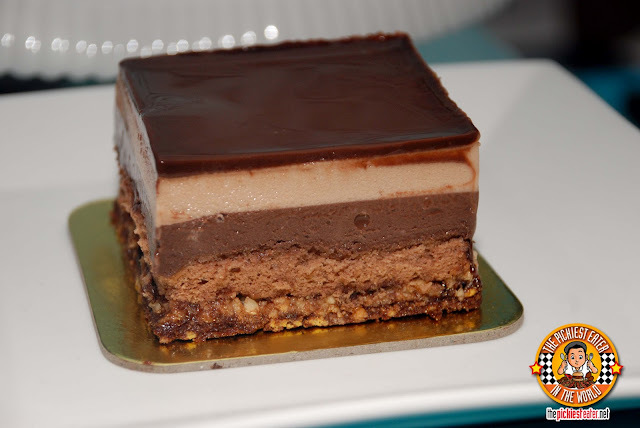 The beautiful harmony of the layers.. A Belgian Chocolate Ganache, a creamy white chocolate mousse, the chocolate mousse, delicious cake layer and the nutty crust was simply phenomenal. Congratulations Blue Toque! A win, well deserved! Nice seeing my logo going places! Met the lovely blogger,"The Pink Margarita"! 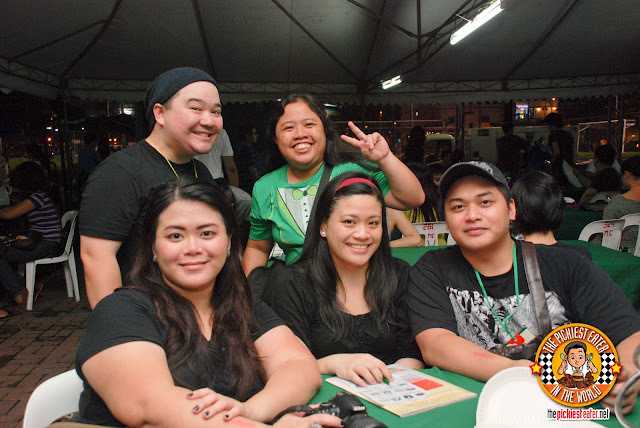 With fellow Blogger Judges, Spread Some Awesome and Certified Foodies! haha sorry! 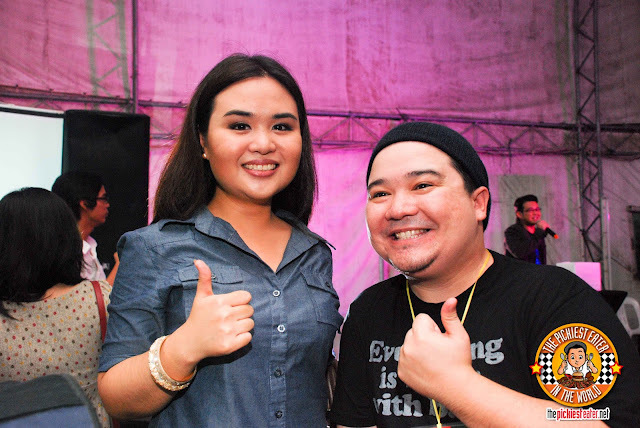 ok naman ah! Ano, delete ko? Wow you are lucky! The only people who cared about my opinion on foods are my friends hahaha... It sure looked like a fun event. 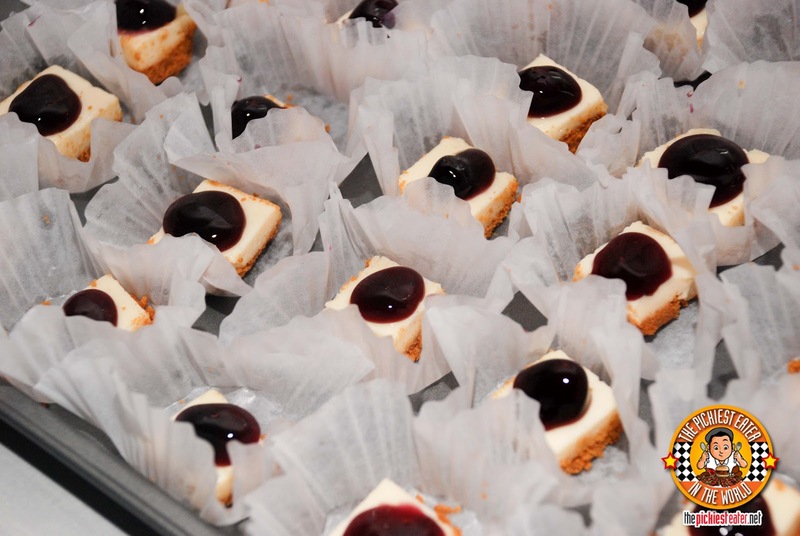 I am particularly curious about the tofu cheesecake, never heard anything like it before. I'm not a fan of tofu so I think it'd be fun to try that one. I had regrets for not being able to buy The Ultimate to take home. it was just superbly yummy! nwy, hope to meet you on future food hunts!